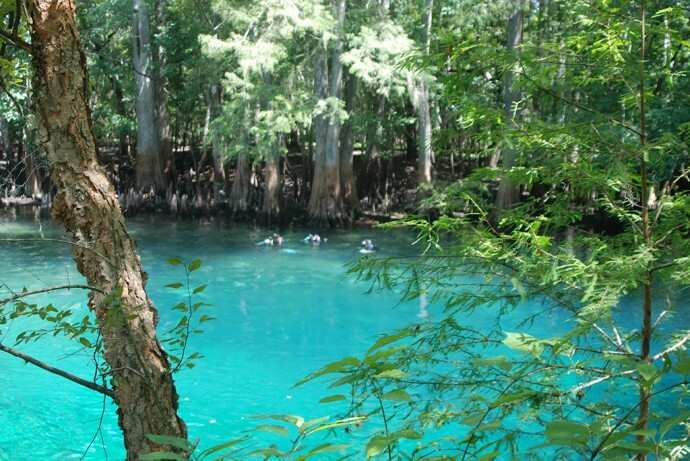 Three Days of Lower Suwannee Springs | Florida Hikes! 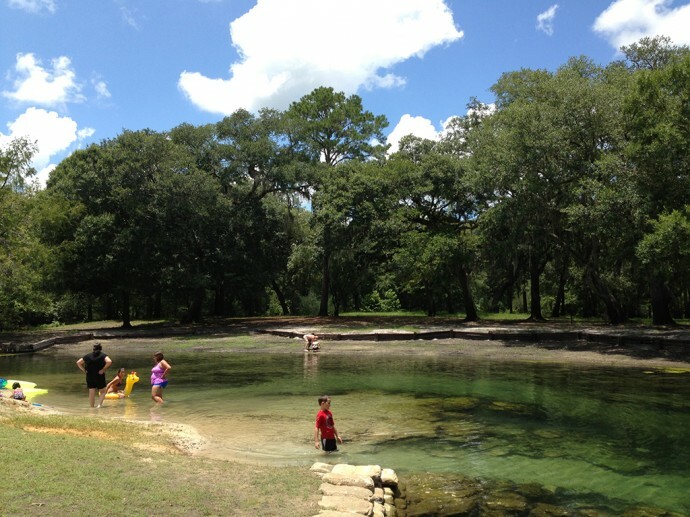 Earlier this year, we visited the springs of the lower Suwannee River to catch up on their health. These springs tend to be less busy thanks to being a bit off the beaten path. As they all flow into the Suwannee, they are prone to being flooded when the river is high. 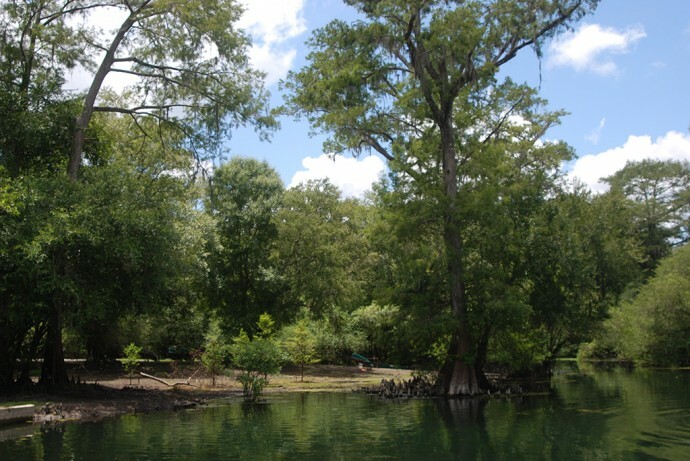 But when they’re in good shape, they are beautiful cypress-lined swimming holes for you to enjoy. Always check ahead regards the water quality (affected by floodwaters and aquifer levels) for splashing about in these springs. 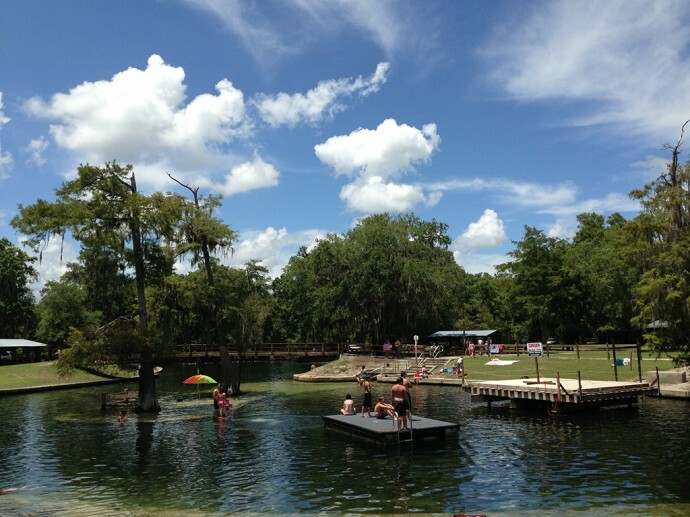 Day 1: For a day spent enjoying the outdoors, Manatee Springs State Park is an excellent destination. The star of the show is the cypress-lined spring, a constant 72*F. Stairs lead to natural ledges where the spring bubbles up, but there are other access points for swimming and snorkeling too, including a small beach on the far shore where parents let the little ones splash in the shallows. You’ll often see dive classes here. Scuba divers are welcome to dive Catfish Hotel, a karst window not far from the spring. The spring run is long enough that renting a canoe or kayak means you can spend as much time on the run as out on the Suwannee River, which is very broad at this point. Mountain bikers will appreciate more than 8 miles of off-road riding on the extensive trail system, which can also be hiked. 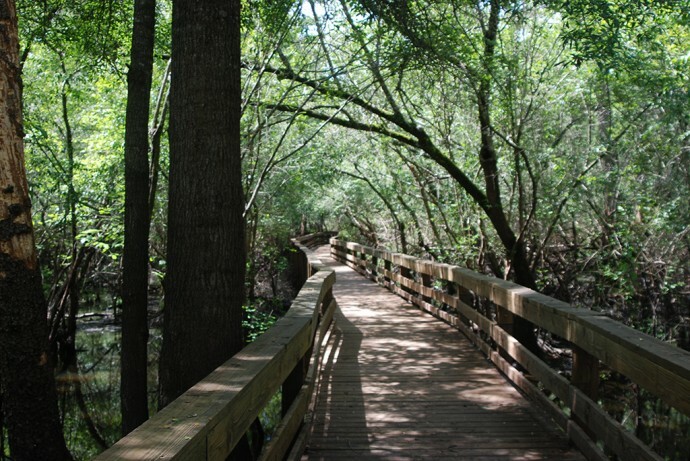 Two shorter walks – the interpretive Lime Sink trail and the boardwalk to the Suwannee River – are for hikers only. The park has a pair of nicely shaded campgrounds, but if you can’t find space here, head north. There are small motels in Fanning Springs, and on the west side of the Suwannee, Dixie County has many campgrounds. 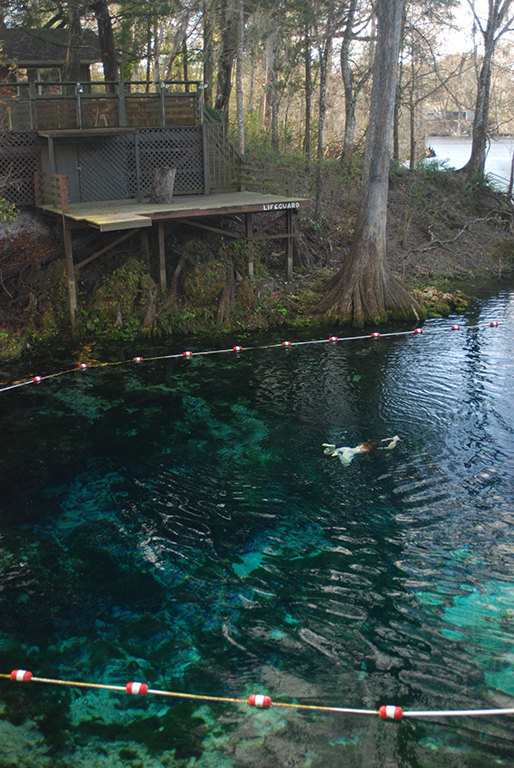 Day 2: Staring into the depths of Fanning Springs, you understand why it’s a favorite for swimmers and snorkelers. The water is clear to the bottom, even when there’s a tint to it. It’s one of the springs most readily affected by flooding on the Suwannee, since the spring run is so short. There are two nice walks at this state park: a nature trail loop into upland areas and a don’t-miss boardwalk that leads down to the Suwannee River while circling around a wetland full of little bubbling springs. Canoe rentals allow you to take a paddle on the swift-moving Suwannee. While there is no campground at the park, they do have cabin rentals. Heading northwest towards and past Trenton, you’ll pass Hart Springs (save for tomorrow) en route to Otter Springs, the most undeveloped spring setting on this weekend trek. Otter isn’t a large spring but it’s clear and deep for swimming and snorkeling. Rent a canoe and float down the spring run, or follow the nature trail out to the Suwannee River, where you’ll find a second spring to splash around in. Otter Springs has a lodge (with pool) and a campground on site. Hart Springs has an RV park, a few cabins, and primitive camping. Look over both and take your pick for an overnight stay near the springs. Day 3: Developed as a swimming hole, Hart Springs is especially appealing for families since there are specially-made shallow areas that stretch out into the spring run as well as the deep crevices that pour water out, attracting snorkelers. A separate spring pool is for scuba use only. You’ll see canoeists and kayakers on the spring run below the swimming area, as there is a launch on the south side of the run. 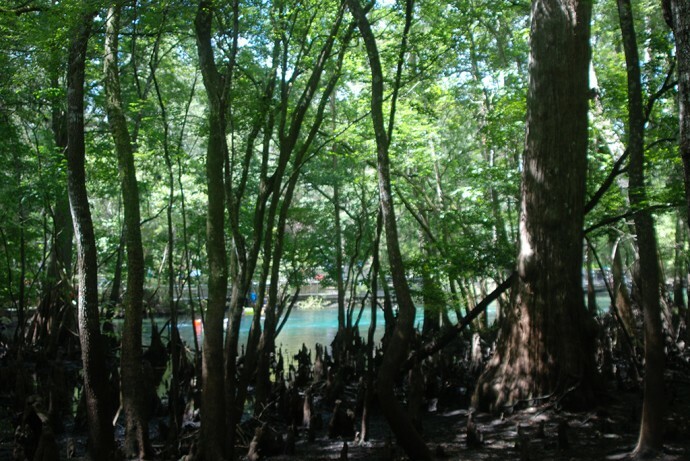 Surrounded by ancient cypresses and picnic grounds, Hart Springs is a beauty spot, enjoyed all the more with a stroll on the boardwalk that leads you along the spring run out to the Suwannee River before looping back through marshes dense with ancient trees. A primitive campground is set under grandfather live oaks. There are a couple of cabins for rent and an RV park within walking distance as part of the complex. A concession stand sells snacks and drinks and serves as the camp store. Canoe rentals are available, including a shuttle option that takes you upriver to Otter Springs and lets you paddle down the Suwannee to take out at Hart Springs. Both parks are camping stops on the Suwannee River Wilderness Trail.